clients who will happily invest in themselves at higher rates? and I’ve had the privilege and honor of having a highly successful coaching business for over a decade now, while regularly traveling the world for both work and pleasure.However, every woman has a story…and we all start somewhere. Feel stuck in the “dollars-per-hour” and “low-end coaching packages” model? Just want to help people and wish the money thing would figure itself out? I was in your shoes not that long ago. As a psychotherapist-turned-coach, I struggled for YEARS to really get my business off the ground. 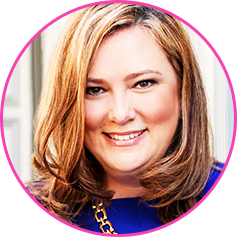 Charging sliding scale rates and passing out my business card at networking meetings was the only way I could see to attract clients and transform lives. Instead, I ended up broke, burned out and hardly helping anyone. It wasn’t until I learned how to charge my worth and design and fill high-end packages and programs that I was finally able to create the kind of lifestyle, income and impact I truly desired. 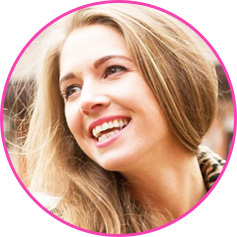 Now I run a thriving multiple 7-figure coaching business, travel the world and help thousands of women create more successful and fulfilling lives and businesses each year. In fact, I’m not even THAT much better at coaching today than I was when I had less than $20 to my name! I simply learned how to maximize the value I provide to my clients—who HAPPILY invest at my higher rates (because their results are exponentially more powerful than they were when I was under-charging and doubting my value). So if you’re feeling like you might not have what it takes to earn great money AND have a big impact in the world—rest assured that you absolutely do. If a schoolteacher’s kid from Detroit can do it, so can you. 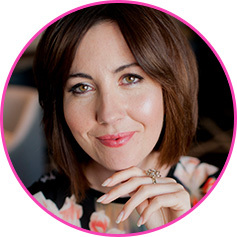 Once you shift through that fear and self-doubt and implement a proven approach to growing your coaching business your work will become FUN again, and you’ll finally be able to enjoy the freedom and abundance you’ve always dreamed of. You wake up in the morning, stretch and look around. Your partner is fast asleep next to you, so you tiptoe quietly out of the room, make some coffee and step out onto the porch of your dream home (overlooking the most gorgeous view). You turn on your SMARTPHONE OR LAPTOP and see emails from three of your favorite clients. They are seeing HUGE transformation and success as a result of your work together and can’t wait for their next sessions. You smile and jump on calls with prospects from the UK and Dubai—and both sign up for your $5K Virtual Intensive. Not a bad start to the day! After lunch, you check in with your team and then take the rest of the afternoon off to go hiking and get a massage. You have a special dinner with friends that night to celebrate your first $50K month—and the Hawaii vacation you’re planning! As you lay in bed that night, you reflect on your life and how far you’ve come in just a few short months. To think that less than a year ago you were struggling to find clients (and totally terrified to sell even your highly-discounted packages) is just astonishing to you now. You never could have imagined the transformation that was possible—for yourself and your clients—when you committed to up-leveling your wealth consciousness and began offering high-end packages and programs. will be unique to you, but this is a small glimpse at what is possible when you establish yourself as a premium coach.I’ve seen this happen countless times for my clients and I’ve experienced it firsthand in my own life. A 6-module SELF STUDY PROGRAM on how to create and fill high-end programs, 1-day intensives and retreats that your dream clients will love (and happily invest in)! 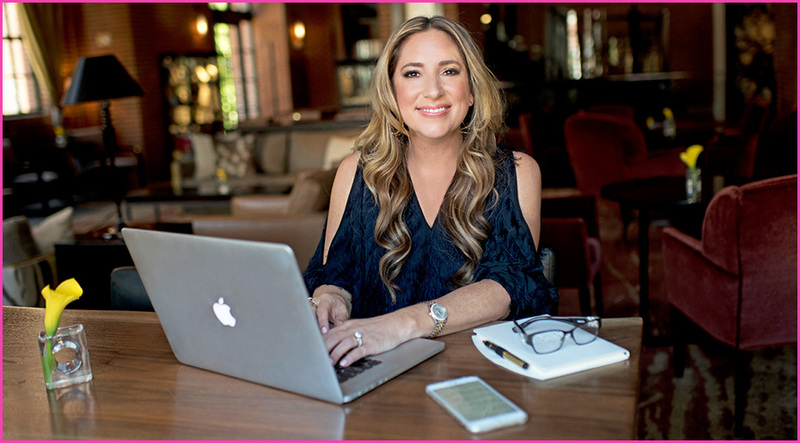 Live & Luxurious has been one of my most popular online courses for years. The latest version of the course will include updated program materials and brand new content you’ve never seen before. • Bring in a high consistent monthly income, while working less than ever! • Create your ideal version of success—on YOUR terms! FEELING UNCOMFORTABLE OR UNSURE THAT YOU CAN SELL HIGH END PACKAGES? Just in case you are feeling a little uncomfortable about all this discussion around “high-end” packages and earning more money, I want to clarify something. A great way to start shifting your wealth consciousness right away is to begin thinking about money as a magnifier for everything else in your life. When your income increases, your ability to reach more people and change more lives grows with it. I’m a living example of this, because as long as I was playing small (and earning barely enough to pay my bills each month) guess how many people I was able to help? Maybe a dozen at a time. As my wealth consciousness grew and I started earning 6-figures, multiple 6-figures, and eventually multiple 7-figures in my business, my impact grew exponentially as well. Now I can say with confidence that I have helped to transform thousands of lives around the world for the better—and that number increases every single day. Are you ready to change more lives than ever before? at the lowest possible re-introductory Rates! A total of 6 in-depth training modules, 6 training call recordings, a welcome packet & 3 awesome bonuses for a limited time only! • How to plan for the costs of your group programs and retreats – so you can KEEP more of the money you earn! The information in these modules will also include printable worksheets taking you through everything you need to know to create and sell your high-end packages and programs, step-by-step. From educational segments and reflection exercises, to checklists and implementation instructions, the worksheets are designed to get you into action right away. It’s often said that your income is the average of the 5 people you surround yourself with the most—and I have definitely found this to be true. 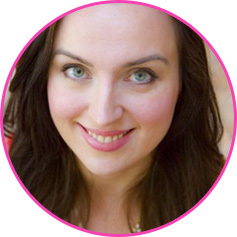 Yet I also know how frustrating it can be trying to find and connect with other high-vibrational women, who are up-leveling their lives and businesses in a big way. Well, that’s about to change. 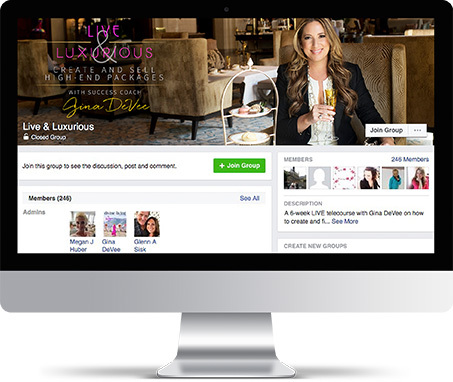 In the Live & Luxurious “Members Only” Facebook group, you’ll be able to network and mastermind with a community of powerful women from around the world who are dedicated to helping one another create lives of fun, freedom and abundance. Done-for-you templates that you can literally copy, paste and customize to fit your unique programs and packages. The value to your business of having these documents in place is in the tens of thousands of dollars. And you’ll receive them all 100% free of charge as part of the program. • A Welcome Packet should help your client begin to gain insights and experience transformations before your first session even takes place. This 19-page PDF was specifically designed for that purpose, and will serve as a great starting point for your own Welcome Packet. • Class Documents are as critical for group programs as your Welcome Packet is for one-on-one packages. To save you the time it would take to create this from scratch, I’m including word-for-word copies of my Class Documents from a past course. Simply customize and send! • Client Contract I’ve seen far too many great coaches and service providers lose money, or even get into legal disputes with clients, because they didn’t require a signed agreement before beginning a package or program. This template is a great starting point, which you can customize to fit your needs (and review with your attorney to make sure you are 100% protected). Techniques and training are important, but there is nothing quite like experiencing these tools in action to help you integrate your learning on a much deeper level. That’s why I am going to do something I’ve never done outside of The Divine Living Academy and give you a “behind the scenes” look at a real Virtual Intensive with one of my clients, in the form of a Skype Video Intensive that you can listen to again and again. While every training module is accompanied by an audio recording, Gina is also gifting FOUR BONUS Q&A AUDIOS for you to listen to the trainings and benefit from the questions that previous L&L members had during their time in the program. CLICK THE BUTTON BELOW TO GET STARTED today and claim these free gifts! Live and Luxurious was exactly what I needed! 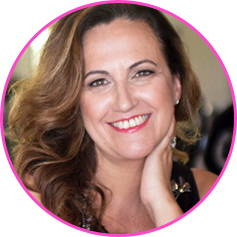 Gina provided me with all the tools necessary to up-level my coaching business and cultivate a classy and luxurious coaching practice. I was able to stop under-selling my services and really step into my power as Queen, by offering substantial packages and motivating my potential clients to work with me. I am now selling my 3 month long 1:1 package for £3997 and offering luxury in-person intensives in top hotels throughout London! My coaching business is a dream come true, and I can’t thank Gina enough for her awesome coaching during this program. I made my investment back with my first ever 1-Day Intensive! I had an amazing and powerful day with my client, in a beautiful setting, and I felt confident that I could give her the container she needed for her transformation. She got the breakthrough she was looking for, the clarity on her heart’s desires, and left with a clear action plan. 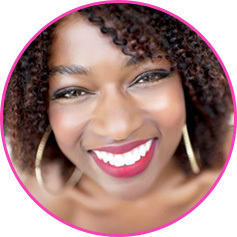 Live & Luxurious gave me the structure and the confidence to offer and sell my first intensive, and deliver an amazing transformational experience for my client. I can’t wait to have the next one, and to go global! Live and Luxurious allowed me to play BIG and to start hosting my own intensives in my own beautiful town of Venice, Italy. My desire was to combine a great transformational experience with the magic and beauty of Venice, and this program has given me the structure to create these high-end, 1-day intensives that are now totally in alignment with who I am (and allowing me to generate a great income too!). This is how in 6 months, I’ve doubled my income living exactly how I’ve always wanted to live! Live & Luxurious is a no brainer if you are looking to seriously up level your life and business. It is full of everything you need to create high end, location independent programs. Before working with Gina, I wasn’t even aware of what I didn’t know about creating a high-end package based business. 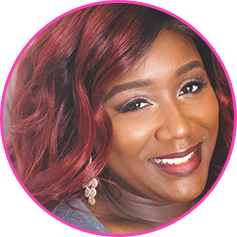 She covers everything from systems and execution, to marketing and powerful discovery calls, to mindset and self-care. It is just the thing to take your business and life to the next level! 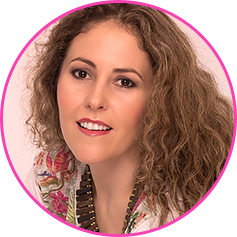 Before Live & Luxurious, I hadn’t hosted any VIP days and I had been selling my coaching packages (without a coaching contract-gasp!) for $2,500 for 90 days. After designing my new offers I raised my prices to $15k for 6 months including a live event in Venice, Italy with two incredible coaches in June! This program was a springboard for the next stage in my business! Thank you for the thorough, in-depth teaching and support in the live calls! I have been teaching these skills and systems for a long time, and I know without a doubt that this material really works… if you implement what you are learning. That’s why I only want you to say “yes” to Live & Luxurious if you are truly committed to up-leveling your wealth consciousness, claiming your power and earning great money by sharing your gifts with the world. If you join the program from this place, you will absolutely see the results you want. However, if you aren’t fully committed, then this program likely won’t work for you. You see, even the best coaches and programs in the world are only as effective as you allow them to be. I can only meet you halfway. It’s up to YOU to apply what you’re learning to create your own success story. Live and Luxurious provided the perfect structure and platform from which to launch and build my high-end programs. 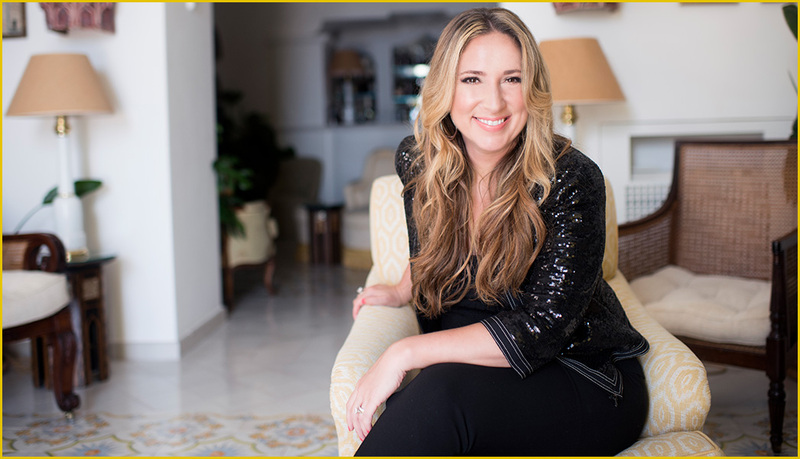 Using the materials provided and being part of Gina’s incredible community of women left no room for me to get lost in overwhelm about the ‘how’ or to play small, get off track and not fulfill my desire of hosting women in luxury locations around the world. 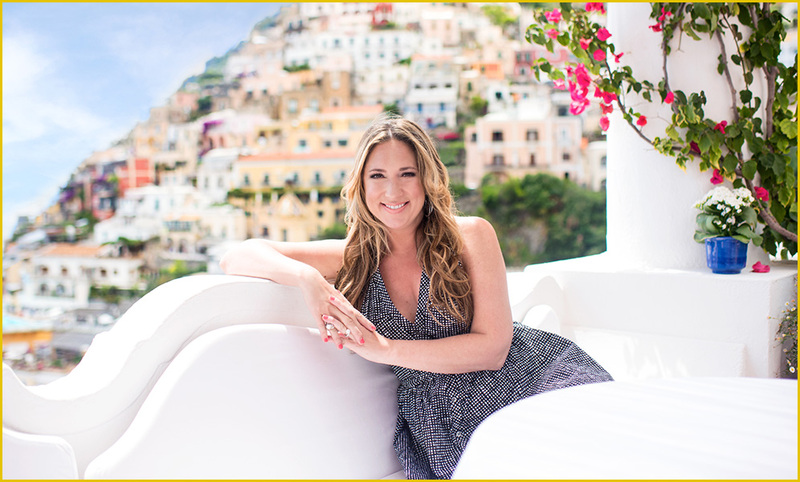 I’ve gone on to host intensives and VIP days in Beverley Hills, New York, Rome, London and St.Tropez and just last year I launched my first high-end retreats hosting clients in Italy! I love working in this live and luxurious way. Learning how to design, market, sell and host private 1-day intensives was the key to my exit strategy as I left my full-time job as a therapist and leapt into the world of transformational coaching and entrepreneurship! 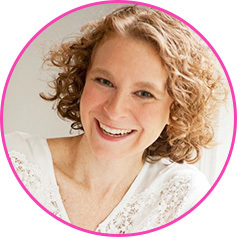 I’m grateful to Gina for having created the empowering Live and Luxurious program, which gave me the inspiration and courage to begin offering high-ticket 1-day intensives. Even today, private intensives continue to be at the core of my business model and add thousands in revenue to my business every year. I loved it. Fantastic program. Marketing, structure and self care. . . all of it. When I first started as a coach I was only doing Skype calls, selling hourly sessions for £20. I was totally burnt-out and I wanted a miracle. 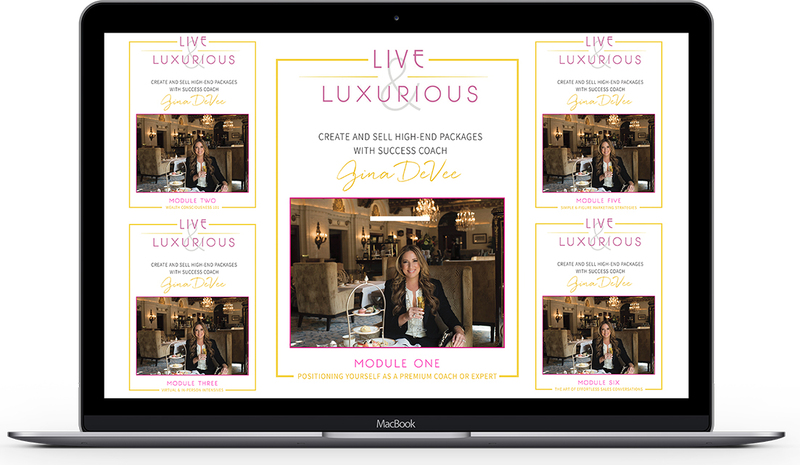 Live and Luxurious gave me the confidence to stand in my brilliance and create a 1-day experience that brought in an extra £7K in less than 48 hours. Today I confidently show up for my private intensives knowing that the tools and structures needed to create an amazing experience for my clients are at my fingertips. I regularly host intensives in London, Luxembourg and Paris; my VIP packages are the highest I’ve ever charged for a day’s work. Without the program, I would probably still be slaving dollars for hours. 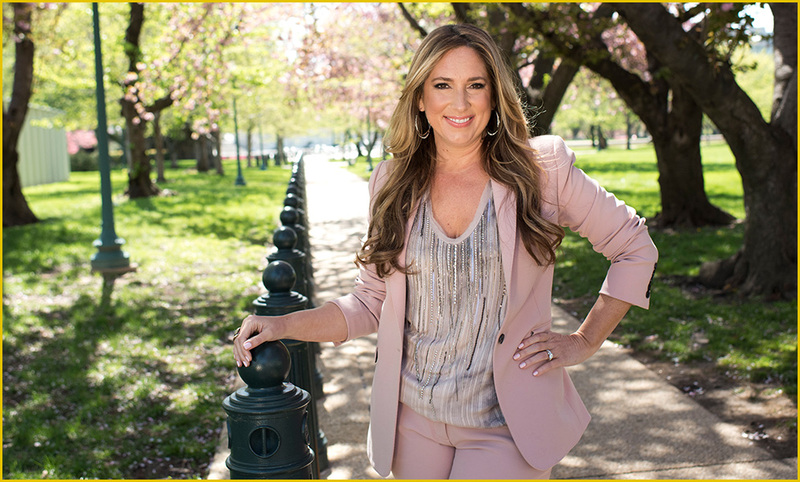 Live and Luxurious and working with Gina was a major game changer for me and my business. For 8 years, I was trading dollars for hours, charging $80/hr to my private clients and selling only single sessions every now and again. 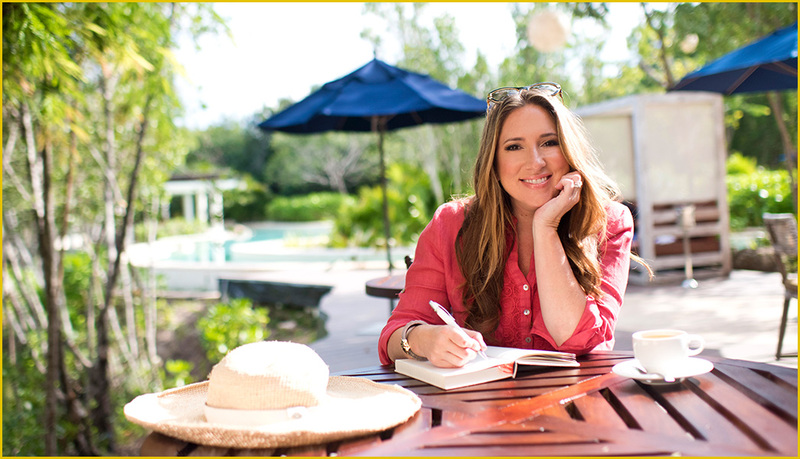 Live and Luxurious taught me what I needed to do to make my dream business a reality. Within the 6 weeks of the program, I went from making $80 for single sessions once in awhile, to attracting 4 new clients and making $850 per person. 90 days after completing the program, I was able to double my rates, and attracted my first $3000 client! I am so grateful for this program and the impact it continues to have on my life and business. Thanks to Live and Luxurious not only did I get the confidence to host my first Private Intensive with a client, I also made the most money that day to date, in the most joyful way. 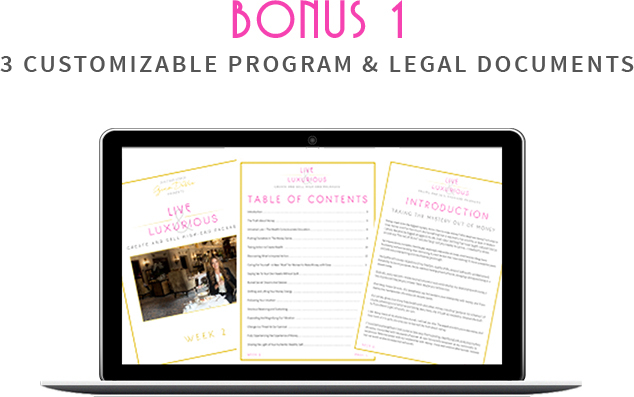 Live and Luxurious answered all of my questions about how to structure the intensive, including what was my role in it, and what the client would be expecting. It was a game changer for me and is a must for any entrepreneur looking to leverage their services. I loved Live and Luxurious! Gina DeVee really opened my mind to the psychology around high-end fees and investing high-end. I simply LOVED the discovery session (sales conversation) module 5. That helped me move out of fear and icky-ness around ‘selling.’ Basically, this program shifted my whole mindset—it was the foundation I needed to start selling my premium programs. I have it on my iPod and will go back to it often to keep my vibe high and mindset right. Live and Luxurious is a must have for anyone looking to go premium. It’s worth the investment and will last forever and you’ll use it time and time again. It will always raise your vibration and you’ll always get noticed for it. I did Live and Luxurious and I am now hosting private intensives at luxury hotels here in South Africa and I love them! I am selling 4 month coaching programs that start with an intensive for $4500 USD (and keep in mind that the South African Rand tends to be around 13 to 15 to 1 to the USD)! This month I made $10k, in June I did $11,500 and July was $5k! • Create 5, 6, or even 7-figures per year doing what you love? • Work with clients who are in need of exactly what you have to offer, and are 100% committed to creating their desired results? • Design a lifestyle that makes you feel truly excited to get out of bed every morning, and inspires everyone you meet? • Travel and work with clients in chic destinations if that’s your heart’s desire? If you answered “yes,” “yes” and “yes” again, and if you’re feeling more excited with each moment that passes, then click the “I’M READY” button below to get started right away. Back to struggling to make ends meet and wondering why you weren’t one of the “lucky” ones who “made it” as an elite coach. From the outside, it may look like I am one of the “lucky” ones. But dig a little deeper and you’d discover that I too struggled, for over 12 years. . .
Then I learned the skills and systems I’ll share with you in this program. And in 3.5 years I went from earning $24,000 per year to passing the 7-figure mark. Again, I want to emphasize that I’m NOT special… I’m just a woman with a dream, who finally discovered how to make that dream a reality. And now I want to help you do the same. You have to act now to join us for this LIVE online course! I look forward to seeing you in the program! CLICK THE BUTTON BELOW TO GET STARTED at the lowest possible re-introductory Rates! Check out a few more questions you may be asking yourself at this point…. But I already KNOW this stuff. Can’t I do it on my own? My first question is…are you consistently making $10k/month as a coach, stylist, wellness professional, etc and able to travel as much as you like? If your answer is YES…perhaps this program is not for you. However, if you’re like most women entrepreneurs, you’ve probably accumulated more than enough information. And you’ve likely struggled for a long time with challenges around wealth consciousness and charging what you are worth. But the fact is, if you were going to do this on your own, you would have done it by now. It’s tough to be creative and have breakthroughs in isolation. Why not give yourself the gift of the support you need, to remove whatever is standing in your way? Why not open yourself to receive the help, the templates, checklists, audios and expert feedback that will finally allow you to make that leap to the next level in your business? If this resonates with you, then I look forward to seeing you in the program. I just started my business. Is Live & Luxurious right for me? Be grateful you won’t have to make the expensive time and money mistakes most women (including myself) have made learning little bits and pieces here and there. Live & Luxurious is the program I wish I had access to when I was just getting started as a coach. 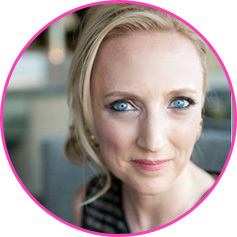 In it, I’ll show you exactly how to set up your programs, intensives and retreats so that you earn great money, attract your dream clients and change lives for the better. From designing your offerings, to setting up your marketing systems, to how to have sales conversations without coming across as sleazy or “salesy,” you’ll walk away from this course with the confidence and clarity you need to catapult your business to success. I’m an experienced coach. How can this program help me? If you’re an experienced coach, but aren’t enjoying the kind of income and impact you know you are capable of, then Live & Luxurious will absolutely help you get there. 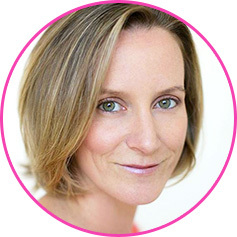 Most experienced coaches who are still struggling (and I can speak to this because I was there for over 10 years) have some shifts to make around: wealth consciousness, charging your worth, structuring your packages and programs, and/or getting clear about who your ideal client really is and where to find them. If any of this resonates with you—or if you have an intuition that this is what you’ve been searching for—then I highly recommend you join the program. What if I’m not a coach? 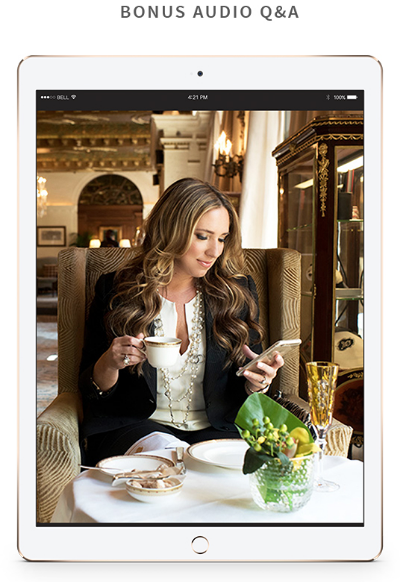 Live & Luxurious is designed with coaches in mind, but the content can be applied to just about any service-based business. I’ve seen graphic designers, chiropractors, personal trainers, accountants, estheticians, social media experts and countless other professionals utilize the systems and techniques I share in this program to rapidly take their businesses to the next level. Yes! You may choose to invest either $997 in full, or 4 payments of $275 every 30 days. P.S. It’s no accident that you are on this page. I’m willing to bet that something inside of you has been searching for this for a long time. Now it’s up to you to decide… Will you spend months or years trying to figure this out on your own and working to shift to your next level without support? Or are you ready to skip all that struggle and take the fast track to 6-figure success with me? Just think—if you get just ONE sale from your new high-end program, intensive or retreat it will pay for this entire course 3x, 4x, even 5x over or more! And that is just the beginning. It’s time to claim your worth and step into your greatness. Click the button below to get started.